For programming wizards and creative techies, a hackathon is where their talent can really come alive. The intense air of competition fosters collaboration and promotes innovative solutions to complex problems. 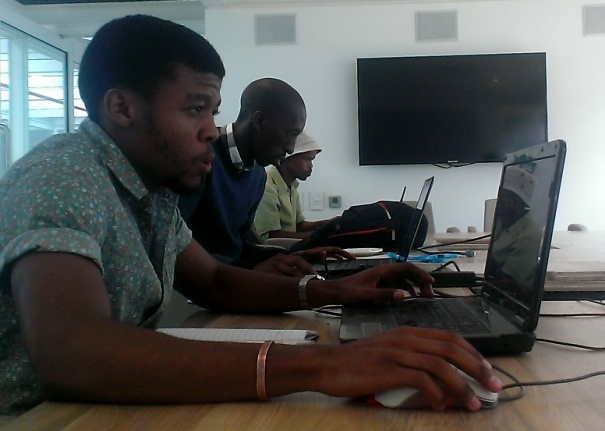 DW hosted its first African hackathon recently in Cape Town, South Africa. Three teams gathered at the innovation center Workshop 17 for a 24-hour race against time to find a solution for providing news in places with poor Internet connectivity. The problem was how to compactly package news reports for consumption on low-data devices in areas with weak networks so that they remain appealing and relevant for South African users. The three teams were composed of established South African web designers and developers along with web design students and budding experts. The mix of participants from different parts of Cape Town allowed for unique insight into how South Africans use digital news. The winning team developed a tool that allows user-generated content (UGC) to be easily produced and quickly disseminated. UGC is quickly becoming an important resource for news broadcasters and providing capability to those with weak networks is a valuable service. With the hackathon, DW could foster innovation in important technologies for African users while drawing attention to its special brand of international news. The event was organized with the assistance of the South African low-data social network Mxit along with the online radio aggregator iono.fm. Logistical support was also provided by Silicon Cape and Code4Southafrica.